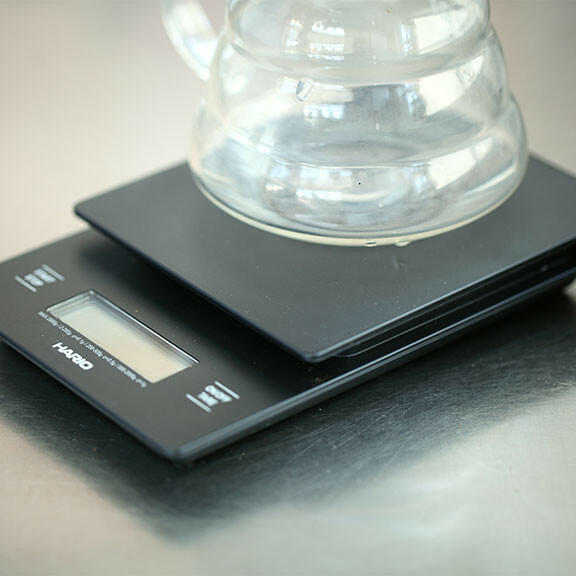 Manufactured by our friends over at Hario Japan, this scale is durable, hyper-compact and quite sensitive. 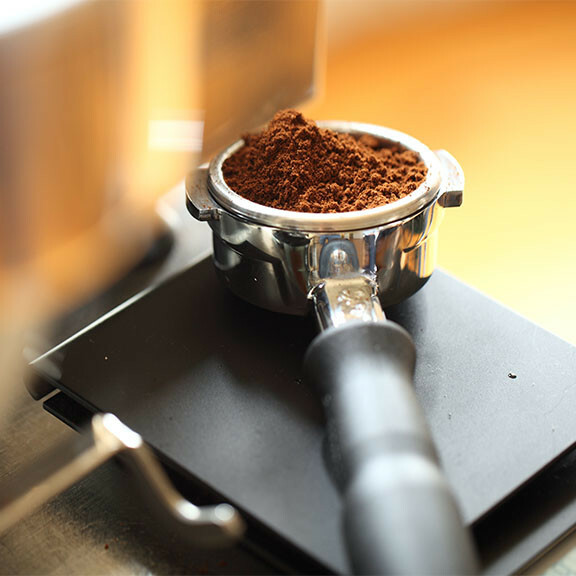 It measures in tenths of a gram, includes a built-in timer, and has a maximum capacity of 2 kilos (4.4 pounds). It comes in one color, matte black, which for our money is the best possible color a scale can come in. It takes two AAA batteries, which are included; and its modest dimensions – 7.5" by 4.75" by 1.2" – make it a pleasingly practical option for travel.